The De Santos Gallery is dedicated to fine art photography in all its forms. We are proud of our Houston roots and as a fine art gallery we dedicated in highlighting local Houston area photographers at the gallery. Photographs and materials are chosen solely on the basis of the owner’s vision of photography as a unique art form of the modern times and not because of trendy currents that are self-limited.The De Santos Gallery is committed as much to the classics as well as contemporary and emerging photographer’s world wide with very diverse artistic expression in photographic media. The De Santos Gallery is committed to photography and its advancement as a distinct 20th and 21st century form of art and to this extent, the gallery will organize lectures by critics, collectors and photographers themselves on a regular basis. The DeSantos Gallery accepts photographric portfolios for review. The portfolios must be submitted by regular mail, email, or digitally accompanied by the artist. Portfolios will be returned only if the artist makes arrangements for this with the gallery. The gallery consists of three open floors. The second floor is reserved for LADS Photography and other well-respected photographers. In addition the gallery can be reserved for private parties and get togethers. In response to online visitors for more information regarding submission information and general info regarding the fine art gallery we have decided to add an online photography forum to the De Santos Gallery website. 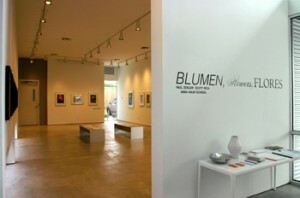 The gallery is located in Houston, Texas. To post a response or to view general information regarding the gallery please contact us at 713 520 1200 or our contact page. If you would add your link to our website please send us an email at infoATdesantosgallery.com.